But where I've positioned oil cooler won't be in way of hinging of bonnet or bonnet furniture when it's closed ??? that's where I have mine - only centred in front of the rad. Way too big that oil cooler mate, you'll never close the boot let alone the bonnet. 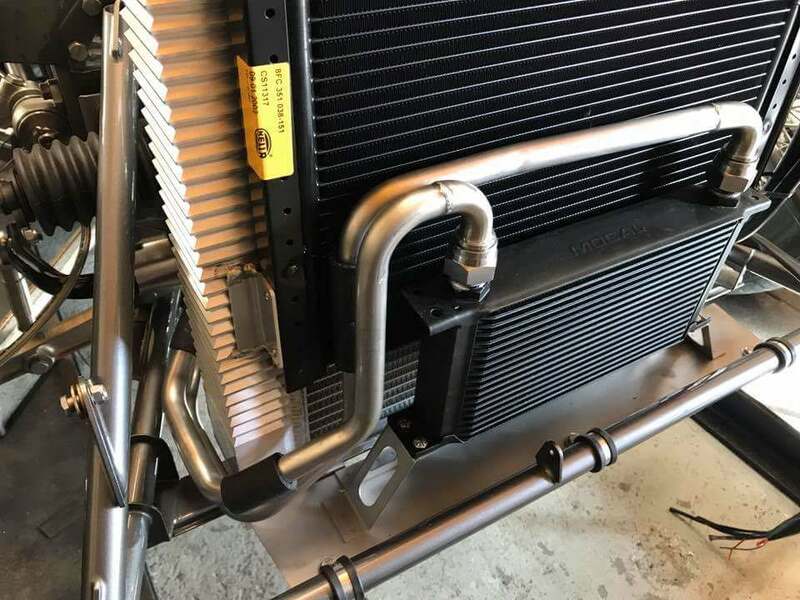 John has posted a link to a really informative, well written thread with very nice detailed pics of how it should be done and the correct size of oil cooler. To all but my good friend Darren please ignore the above, except the bit about the informative well written thread. On a serious note, I now remember why I raised mine up a bit. 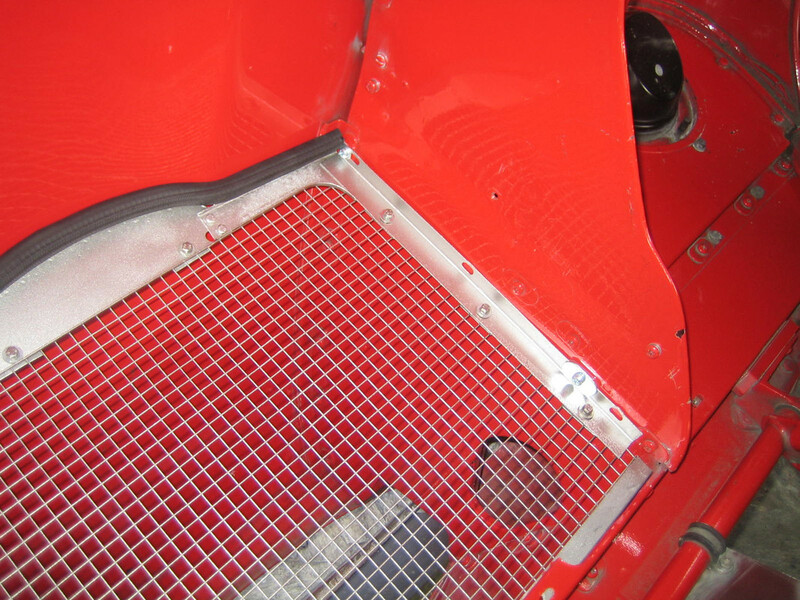 Check that the lower valance doesn't restrict the air flow through it or are you putting extra ducting in? Last edited by MarkRado on Fri Feb 09, 2018 8:20 am, edited 1 time in total. Not wanting to stir up a hornets nest but why do you think you need an oil cooler? You beat me to it Phil! Mine is only because I thought it looked good and Uryk has one on his. Darren's however I suspect will have red hot oil coursing through it while the car spits flames and is bouncing off the rev limiter. For anyone fitting an oil cooler the routing of the pipes is the hard part especially if you go for JIC 12. Less than this can actually restrict the flow of oil according to Rob Beere. The filter head I used is an XJ6 Series 3 one as supplied by Rob. Again Rob advised caution with some of the aftermarket sandwich plates and filter housings as they can also restrict flow. That's it Ralph! I knew there was a reason for fitting the uprated fans. Poor Angus must despair everytime I mention what I've done. LOL. No, not at all. It is always interesting to see what people do to their cars and I have loads of mods on mine. Having restored a couple of cars now, I am more and more convinced that in their standard form, they were as good as it gets for fast road use. You have to balance off driveability, reliability, comfort etc which is why I wouldn't fit really wild cams, straight through exhaust and other mods that are only really useful if you use the car for posing. (Personally E Types should be seen and not heard in my view but I know loads of people wouldn't agree with that). I know people who have fitted wild cams only to discover that they couldn't drive the thing in traffic. 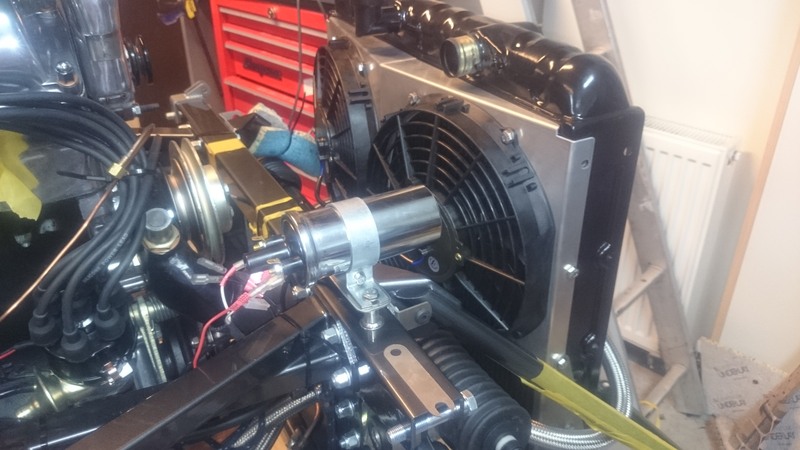 Is an oil cooler really needed on a road car? Why add more potential failure points? What happens if the oil never reaches optimum temperature? You could be asking for trouble. I think you're right Angus. Let's face it, Jaguar had a development phase in designing and building these cars that, despite famously being done on shoestring budgets, were far more all-embracing than anything we as enthusiasts can achieve. Yes, compromises have to be made but these are done with a view to best overall driving experience. If I was planning long high speed runs on a race track then maybe I'd fit an oil cooler. If you can't make it work, make it complicated! "Personally E Types should be seen and not heard in my view...."
What happens if the oil never reaches optimum temperature? You could be asking for trouble. Hopefully that's the advantage of the Rob Beere XJ6 S3 oil filter housing, it has a built in stat. Again, do I actually need an oil cooler, probably not, but when I look through the mouth of my bonnet and glimpse some stainless hoses and aeroquip unions, I'll get a warm fuzzy feeling. Hopefully not from standing in a pool of oil. Still think I'm right Chris ;) I have customers who say 'I want a straight through exhaust as I love the sound of Sir Williams 6th symphony etc etc'. Despite my protestations, we fit one. The first long journey they do completely reverses their decision! Had an oil cooler and took it off because a) it made no difference to performance/engine temps and b) it failed on a trip through Germany dumping oil on the road. Just another point of failure for zero benefit. Last edited by dal2.0litrefrogeye on Sat Feb 10, 2018 7:45 pm, edited 1 time in total. Darren, I was half expecting "handbags at dawn" between you and Simon for the comments he made at your expense It's one of the great things about this forum that we can have good fun at the same time as passing on advice. I would agree to Angus's comment about exhausts, a friend has admitted his straight through exhaust means he cruises at 60mph otherwise it's too loud. Last edited by dal2.0litrefrogeye on Sat Feb 10, 2018 10:58 am, edited 1 time in total. I’d say it depends on the type of competition. The wonderful sound you hear in the paddock at sprints and hill climbs is the sound of owners trying to get some heat into the oil. Unlike the autobahn or circuit racing, the short runs themselves are not enough to get the oil properly up to temp, never mind need a cooler.